This historic book may have numerous typos and missing text. Purchasers can download a free scanned copy of the original book (without typos) from the publisher. Not indexed. Not illustrated. 1878 Excerpt: ...BEXGAL PRESIDENCY during the Year 1873, and the prevalence of the principal Diteaset in each Month of the Year. (This statement is for the Regular Native Arm; only, and for men pretent from month to month with their Regiments, --See introductory note ) . TABLE shoving the SICKNESS and MORTALITY among I/hi NATIVE TROOPS lereinp BENGAL PROPER a-d in ASSAU during the Year 1873, and the prevalence of the principal Diieatet in eaok Month of the Year. in. TABLE homing the SICKNESS and MORTALITY among the NATIFS TROOPS ee-ving in Ute DINAPOEE, BENARES, OUDB a-d CAWNPORB DISTRICTS during the Year 1873, and the prevalence of the principal Diteasei in each Month of the Year. IV. TABLE shouting the SICKNESS and MORTALITY among the NATIVE TROOPS tening in the MEERUT DISTRICT and i- ROBILCUXD during the Year 1873, and the prevalence of the principal Diieatet in each Month of the Year. v. TABLE showing the SICKNESS and MORTALITY among the NATIVE TROOPS eening in tie AGRA DISTRICT and in CENTRAL INDIA during the Year 1873, and the prevalence of the principal Disease- in each Month of the Year. - (Several of the Stations of this are- usually occupied by RetfmenU of the Bengal Army were in 1873 occupied by Madras Troops. 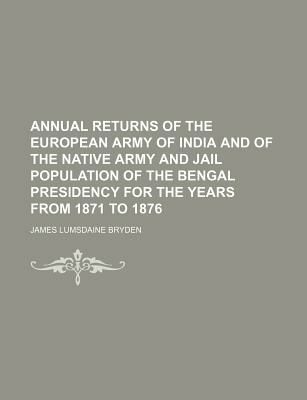 The Statistics of the Madras Troops occupying Stations of the Bengal Presidency are give- in Table XVII.) VI. TABLE ehoteiag the SICKNESS and MORTALITY among the NATIVB TROOPS leming in the PUNJAB during the Tear 1873, and the prevalence of the principal Diseases in each Month of the Year. VII. TABLE shotoingthe SICKNESS and MORTALITY among the NATIVE TROOPS computing tie CENTRAL INDIA IRRRQULAR FOS.CB during the Year 1873, and the prevalence of the principal Diseases in each Month of th.